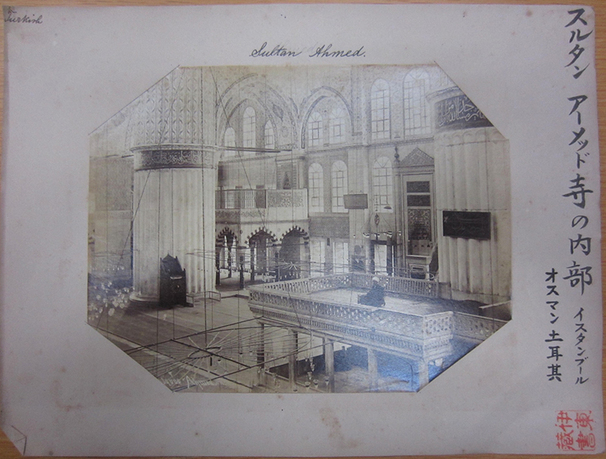 Sébah & Joailler, interior view of the Sultanahmet Mosque, mounted by Ito Chuta. 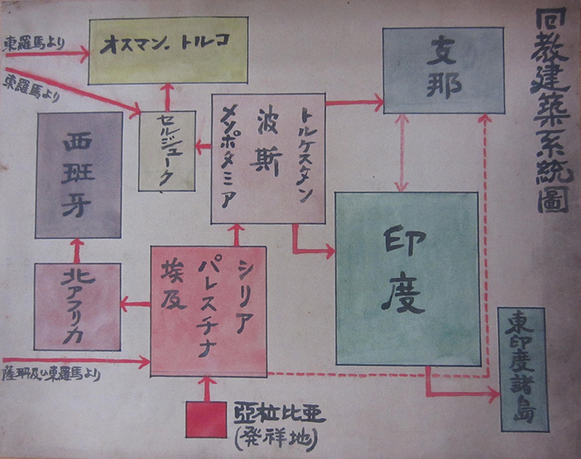 Courtesy of Department of Architecture, Graduate School of Engineering, the University of Tokyo. 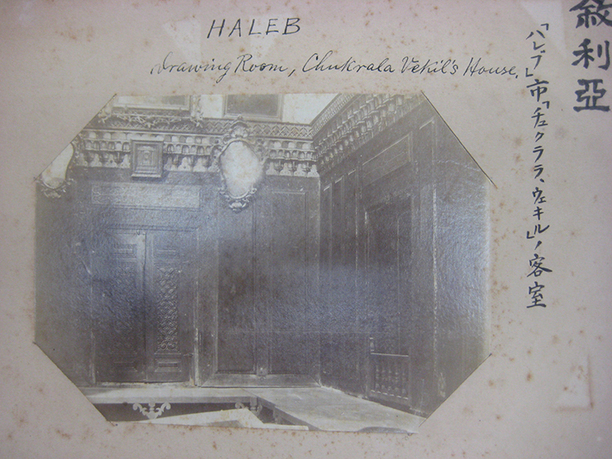 The project will complete the inventory of an untouched collection, which documents the Middle Eastern travels (1904­–05) of Japanese architect and historian Ito Chuta (1867­–1954), preserved by the University of Tokyo. Evaluating critically the impact of "Oriental" and "Islamic" architecture on Japanese academia, it discusses this issue in the context of global geopolitical developments. 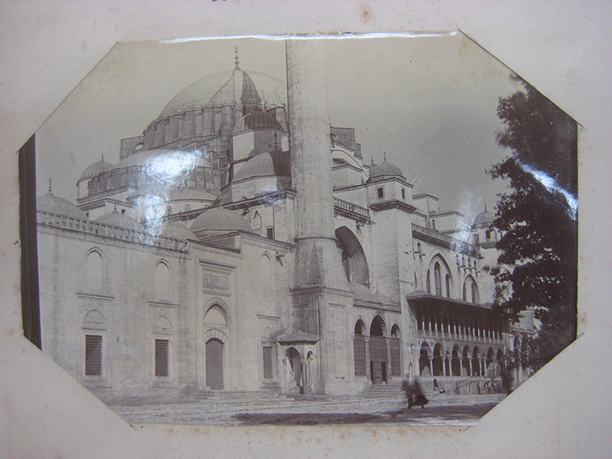 As an "Oriental" subject documenting other Orientals, Chuta questioned use of that term, along with "Islam," and even, "architecture”—each of which were foreign expressions, problematic from the Japanese perspective. While trying to conceptualize the heritage of the Ottoman Empire, his unique position undid the gaze of the Western subject, who represented and observed subaltern Oriental objects. Beside the philological value of its inventory, this project will disclose to an international academic audience relevant aspects of the relationships between photography, cultural difference, and modernity in a global context. Miyuki Aoki Girardelli is an art historian, who works on the Ottoman, Japanese, and French cultural encounters of the nineteenth- and twentieth-centuries, and who received her PhD from Istanbul Technical University (ITU) in 2004. Her research has been supported by various foundations and institutions, including Max von Berchem, Toyota, the East Japan Railway, Suntory, the Institut national d'histoire de l'art (INHA) (Paris), and the Kunsthistorisches Institut (Florence). Giardelli was a research fellow at the Japan Society for the Promotion of Science at Waseda University, ITU, and Massachusetts Institute of Technology. Since 2005, she has taught graduate and undergraduate courses at Boğaziçi University, Bahçeşehir University, and ITU on Asian art and culture. She curated the exhibitions Three Japanese in Istanbul (Istanbul Research Institute) and Japanese Winds in the Ottoman Palaces (Dolmabahçe Palace Art Gallery, Istanbul).